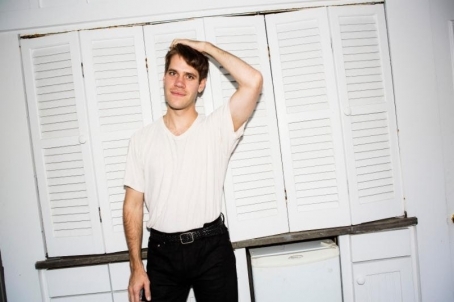 As you may have noticed, we just started dealing with the 2015 Best of NYC Poll for Emerging Artists, so it's kind of appropriate to dedicate a little blurb to the band that won last year's edition: Porches. Aaron Maine's collective of rotating musicians just came out with this new video for single "Be Apart." 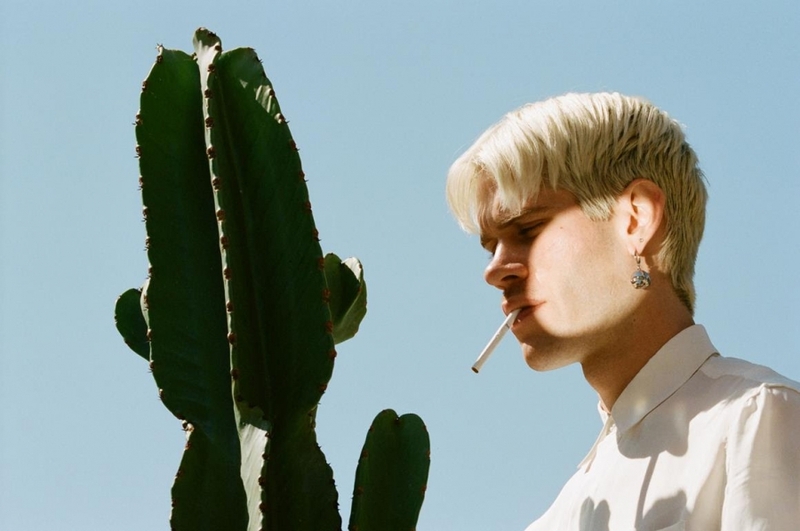 It's been a year of change for Porches, a band that - up until early 2015 - featured a mostly guitar driven sound, whether acoustic or electric. Their upcoming album "Pool" is set to change that in a way more synthy direction. 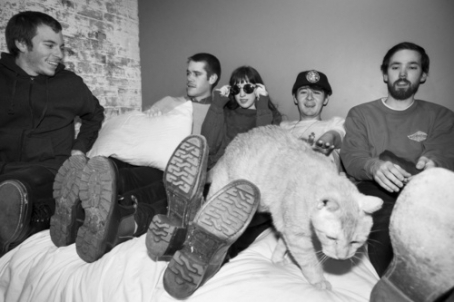 The band also announced a spring tour with Alex G that will end with a show at Bowery Ballroom on April 15. 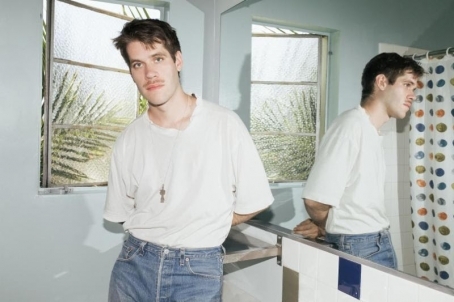 Porches unveil video for "Hour" + announce LP "Pool"
Porches, the recording project of New York-based Aaron Maine featured on the coer of our Best of NYC issue 2015, announced today the release of new and fifth album, entitled "Pool," and set for release on February 5, 2016, via Domino. Written and recorded in his Manhattan apartment (ugh! no Brooklyn? ), Pool confirms the distancing of the band from the guitar centric sound of the previous releases in favor of synthesizers, a trend initiated last year with the popular single "Forgive." Porches today shares a video for the current single "Hour", which was released digitally on October 8. Directed by Alan Del Rio Ortiz (Blood Orange, Danny Brown, St. Vincent, Petite Noir), the video stars Maine and band mate Kline (Frankie Cosmos) as star-crossed lovers on a night excursion. Our Best of NYC Poll for Emerging Artists has been - as usual - a lengthy and painstaking journey which took us through prairies of numbers, horizons filled with band names, and a dense, (mostly) joyous rain of music, but we have finally arrived at destination: we can announce the final results. This year we heave a very electric guitar heavy chart - at least for the top positions. 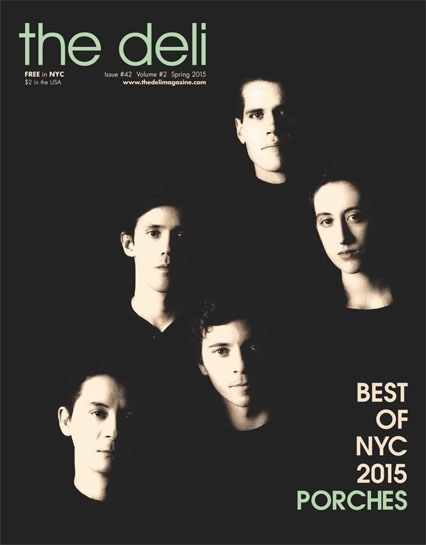 We are happy to announce that Porches is The Deli NYC's Emerging Artist of the Year, and will therefore grace the cover of the upcoming spring issue of The Deli. We've been fans of the band for a while now (their beautiful latest release "Slow Dance in the Cosmos" was our record of the month back in December 2013), and we'll take this opportunity to reveal that we actually offered them the cover of The Deli twice in the past 6 months, something that didn't materialize only because in both instances they couldn't play a show linked to the issue's launch. As they say, it was destined to happen! Another recent Deli record of the month landed in second place: uber-talented solo indie rocker Mitski (a project we have a feeling will soon become a band, because, well... it sounds like a band!). Her 2014 record "bury me at makeout creek" reveals a multifaceted talent, but first and foremostly, great songwriting. One of The Deli's staff's favorite genres - dream pop - gets on the podium thanks to guitarist and vocalist Drew Citron's brainchild Beverly, whose debut album "Careers" enjoyed the creative input of ubiquitous Brooklyn DIY scene talent Frankie Rose, who left the band shortly after the record was released (that's what ubiquitous musicians do!). If you wonder how this chart came into existence, here is how it all went down: first, we let the local bands submit their music (for free), and got our Deli editors to pick the nominees. Then we polled a list of 15+ NYC scene expert (our jury) and asked them to nominate 3 more bands of their choice each. Then we polled our writers, then we polled our readers. We tried to keep things open for each single genre, from Indie Rock to Roots Music to Hip Hop. If you are a geek interested in all the subtelties related to how this poll works, you can read its rules here (happy reading!). But if all you care about is the awesome new music NYC produced in the year 2013, this list is all you need. Enjoy! Many Thanks to our Jurors: Alex Borsody (independent show organizer), Alex Rossiter (Webster Hall), Andy Bodor (Cake Shop), Ariel (Palisades), Billy Jones (Baby's All Right), Diane (Bowery Electric), Christina Cook (Sofar Sound), Clark (The Delancey), Eric Berrebbi (Arlene's Grocery), Eric Weiner (The Wild Honey Pie), Free Williamsburg, George Flanagan (Rough Trade NYC), Heath Miller (Webster Hall), Jacob Moyers (Cameo Gallery), Jaime Dominguez (SESAC), Jen Lyon (Bowery Electric), Lauren Beck (The L magazine), Matt Currie (Rockwood Music Hall), Matt McDonald (CMJ), Max Brennan (Lit Lounge), Mike Leonard (Bowery Presents), Nora dabdoub (Shea Stadium), Patrick McNamara (Oh My Rockness), Rami Haykal (Glasslands), Samantha Cox (BMI), Steven King (The Rock Shop), Steven Matrick (Pianos), Tim Maginnis (Ascap), Todd Abramson (Maxwells), Paolo De Gregorio (The Deli). Alt Folk - Alt Rock - Electronic - Folk Rock/Americana - Hip Hop + Other - Indie Pop - Indie Rock - Psych Rock/Avant Indie - Revival Rock/Garage Rock - Songwriters/Rooty Pop.